1) CS540 – The CS540 Wireless headset is new to the block, replacing the CS55. The CS540 has newer technology and a lighter weight than the CS55 at only 21 grams. Used either over your head or over your ear, this headset is sleek and stylish. Up to 350 feet of range to roam your office and improve productivity. Speaker volume & mute controls are at your finger tips allowing adjustments remotely. An adaptive power system optimizes the CS540 for the perfect balance between range and talk time. A Voice-dedicated DECT technology in the CS540 eliminates Wi-Fi interference. Advanced wideband audio using CAT-iq technology enables clearer conversations, where you can conference up to three additional CS headsets to have co-workers join calls quickly and easily. 2) CS55 – This headset continues to lead the pack when walking out the door. Even though it has been announced end of life, there are still plenty to ship with warranty included. Available in convertible over-the-ear, over-the-head or behind-the-head styles, the CS55 lets employees go where office work takes them up to 300 feet from their desks for 10 hours of unencumbered talk time. As the first headset in the U.S. to implement 1.9GHz voice-dedicated wireless technology, the CS55 delivers uncompromised audio quality and ensures minimal interference from other office wireless systems. 3) CS70N – The CS70N gives you the best of the best in one professional wireless headset; premium audio performance, and sleek, comfortable styling. Featuring a top-of-the-line, noise-canceling microphone for clear speech even in loud environments. The CS70N wireless headset is perfect for a variety of users and businesses. A stylized, lightweight behind-the-ear design is not only discreet, it is comfortable enough to be worn all day. 4) W740 – With three different styles of wearing and a replaceable battery, what more could you ask for? Oh you want one that will work with your computer, land line, and cell phone? 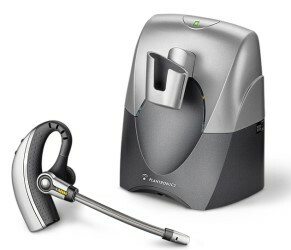 You have found it in the W740 Wireless headset from Plantronics. Optimized for Unified Communications, the system automatically updates your status to “busy” on PC, mobile, and desk phone calls so colleagues can see your availability. You don’t have to worry about missing a call again. 5) CS55/HL10 – This headset comes with a lifter so that you can conduct business calls in hands-free, digitally-enhanced audio with the CS55/HL10 combo. Available in convertible over-the-ear, over-the-head or behind-the-head styles, the CS55/HL10 lets employees go where office work takes them, up to 300 feet from their desks for 10 hours of unencumbered talk time. 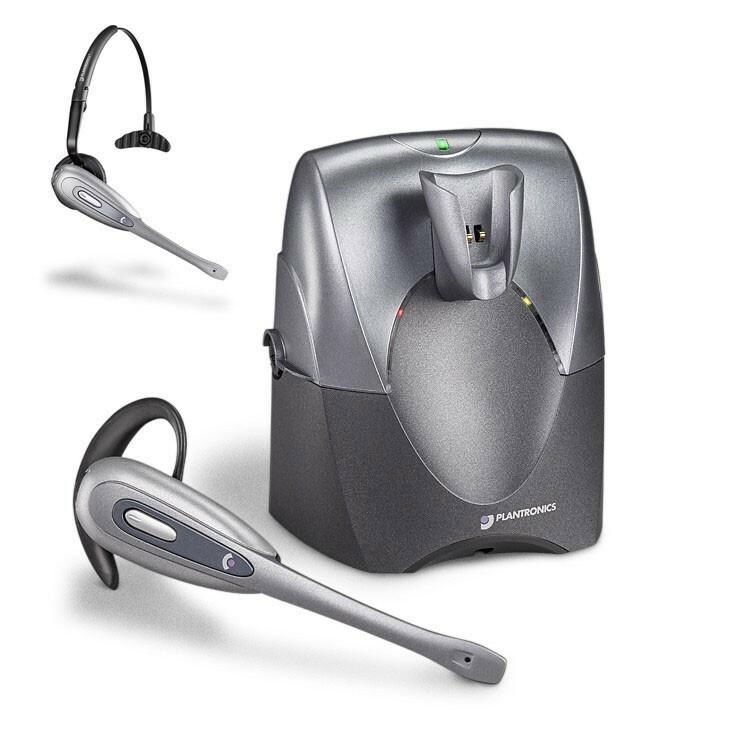 As the first headset in the U.S. to implement 1.9GHz voice-dedicated wireless technology, the CS55/HL10 combo delivers uncompromised audio quality and ensures minimal interference from other office wireless systems.